In efforts to build out its video content production team, Apple has hired former president and general manager of WGN America and Tribune Studios Matt Cherniss, according to a report on Tuesday. Cherniss will oversee development at Apple's worldwide video unit and will answer to former Sony Pictures Television presidents Zack Van Amburg and Jamie Erlicht, reports Variety. Van Amburg and Erlicht joined the company this month after their contracts with Sony expired. According to the report, Cherniss turned down an offer to join AMC as head of the network's original programming and development arm. 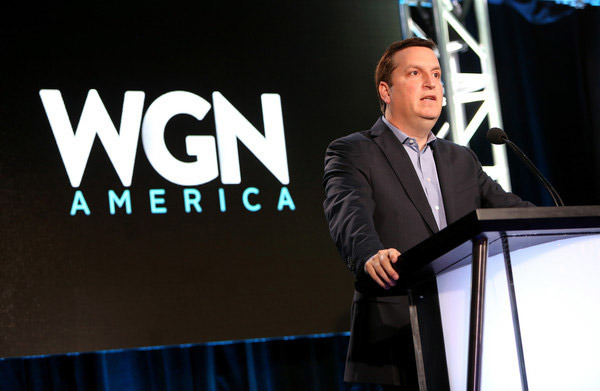 Prior to that, the television executive worked at WGN America and Tribune from March 2013 until last month, when the companies were bought by Sinclair Broadcasting. The move comes as Sinclair plans to shift focus from original programming to acquisitions. He also served at Fox, Warner Bros. and FX, reports Deadline. While at WGN, Cherniss had a hand in transforming the station into a cable network, developing critically acclaimed shows like Emmy Award-winner "Manhattan" and "Salem." "Underground" and "Outsiders" also debuted under Cherniss' tenure, two productions that consistently crack the top 20 chart for cable dramas, the report says. Beyond a title, it is unclear what role Cherniss will play at Apple. The Cupertino tech giant just this month released its second original series in "Carpool Karaoke," an extended full-length version of a sketch created by late night talk show host James Corden. "Karaoke" follows Apple's "Planet of the Apps," a reality game show involving app development which debuted in June. Today's reported hire represents yet another cog in Apple's quickly growing original content creation apparatus. The company is rumored to be working on new content for distribution through Apple Music and in doing so is looking for potential production partners. To further the project, Apple SVP of Software and Services Eddy Cue has reportedly met with executives from major production houses and networks including HBO, Sony and Paramount.